Pimples are extremely irritating to deal with and are embarrassing. This is especially true in teenagers. Almost all teenagers have asked themselves how to get rid of pimples in natural way. Though it is normal to experience these, if you don’t take care of the problem, it can leave scarring or even a faulty uneven complexion. Pimples are inflamed skin and the oil glands under the skin become filled with pus and swell up because they are infected by bacteria. The cause of pimples is due to oil glands secreting too much sebum. They often occur on the shoulders, back, neck, and of course, the face. There are many solutions to eliminate pimples though sometimes it can be complicated to do it naturally and effectively. Oh, and also quickly. The following are some of the most effective remedies for how to get rid of pimples. This can be used to help move blood flow to the affected area. It then tightens the pores and helps to reduce the inflammation and swelling of the skin. 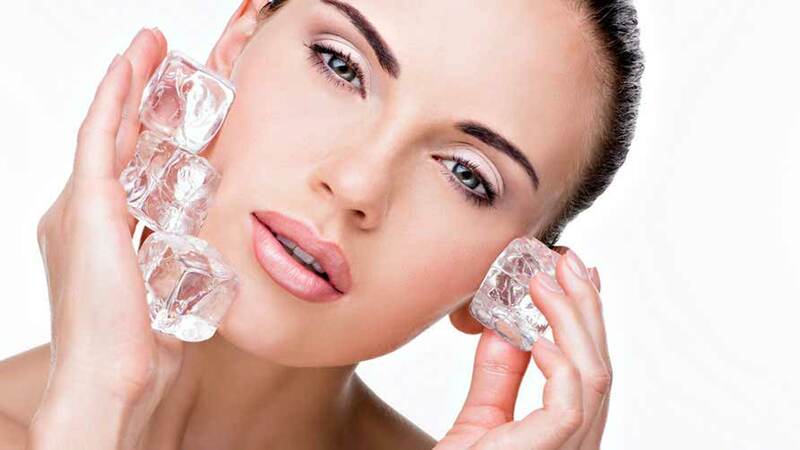 Wrap an ice cube in a cloth and continue to hold it right on the pimple for a few seconds. Repeat it as often as needed. While rich in vitamin C, lemon juice can help zits dry up quickly. Take a cotton ball and dip in in lemon juice and apply it to the area of the pimple right before bed. Because of the antibacterial characteristics in tea tree oil, it is often used to combat skin issues. It reduces inflammation and redness in pimples. Simply dip a cotton ball in tea tree essential oil and put it on the affected area. After 15-20 minutes, rinse your face being careful to not get the essential oil in your eyes. The skin can breathe better when it has been exposed to steam and it opens the pores. This helps to eliminate bacteria, oils, and dirt which are trapped in the skin pores that are causing the pimple. Always a miracle worker, garlic is a fast treatment of pimples due to its qualities as an antioxidant, antiviral, antifungal, and antiseptic agent. Just rub garlic on pimples and let it set for five minutes. Then wash your skin with water that is a lukewarm temperature. Working as an exfoliator and inflammation reducer, baking soda clears the skin. It helps to make a paste with baking soda and water and wear it like a mask for an hour. After an hour, rinse it off. Other natural home remedies that can be helpful in treating pimples and breakouts include Manuka honey, papaya, and apple cider vinegar to name a few.